Back in April we got to meet Katie Workman, the author of the MOM 100 Cookbook. Katie did a really fun demonstration about different types of vinegars and how we could use them with our cooking in every day life. My daughter was especially excited about getting to meet her because she told me that someday she hopes to write her own cookbook. My daughter even got to help out with Katie's fun demonstration and of course her favorite part was the taste testing! I have been cooking some of the recipes from the cookbook and my little ones really have enjoyed helping me. The recipes are easy to make, and definitely basic enough for younger children to understand and help with. I feel like it is SO important to welcome my children into the kitchen, to have them be hands on with our meals. When children are helping to make the meal they are more apt to eat it, even if it might be something new or an item they might be picky about. During Katie's demonstration she also shared her thoughts about children helping make meals as part of an effort to help them develop healthy eating habits. The cookbook has been a joy to read and I've really enjoyed Katie's quick whit and anecdotes. Mom 100 solves those kitchen dilemmas that most moms have. You just have to read it to find out! 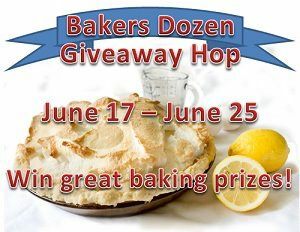 The Mom 100 Cookbook will be part of my giveaway package for an upcoming event called Bakers Dozen which begins on June 17th through the 25th. Be sure to come back to win some great prizes here at Mama-Nibbles and then to hop on the linky to visit the other blogs involved, they will be giving away some great baking and cooking related items as well.